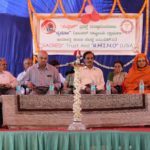 SACRED Trust, acronym of the “Sahajananda Computer-Aided Rural Education and Development Trust” was established in April 2005 by a group of like-minded persons led by Dr.V.N.Vasudev who functions as the Founder Managing Trustee of the Trust. 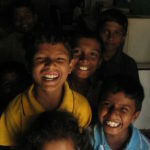 The Trust welcomes you to share with us the joy and pleasure of training the rural children and youth in computer basics. The rural India with its 600,000 villages, trailing behind the rest of India, is the home to 66% of India’s 1.25 billion population. Subsistence farming is the main stay in these rain-dependent villages. Youth in these villages will not be able to sustain themselves through agriculture alone. They have to catch up with modern development in information science and technology. Mobile phones have already become part of Indian Rural Life. Computers and internet are becoming part of rural development. Smart phones with built-in computer in the hands of our farmers will be even more useful for doing Farm related Agri-business. However, despite all the hype around rural development, millions of children and youth in rural India cannot afford to even see or touch a computer. 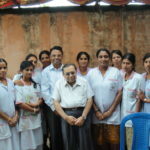 The SACRED Trust’s VISION is VIKAS (Village India Knowledge-Aided Society). The Trustees believe that through the Trust’s Computer Literacy Programme it is possible to reduce the digital divide between the urban and rural children and youth also raise their standard of education on par with children in cities and towns. Computer literacy enables the rural youth to be self employed or seek employment opportunities on the basis of their computer skills. Computer literacy also helps Rural India to catch up with E-Governance, access modern technologies in farming and storage of farm produce, explore business opportunities, root out middle men and commission agents and eradicate corruption. Computer literacy enables our farmers to brand their products and sell their produce online from ‘Farm to Plate’. SACRED Trust’s activities are presently confined to Karnataka State. The area of operation is mainly Kanakapura and Ramanagara taluks in Ramanagara district in Southern Karnataka. School children in Government schools studying in 4th to 10th std. in 59 villages of Ramanagar District are being trained. The students are taught WORD, EXCEL, POWERPOINT, PAINT, MOVIE MAKER & INTERNET. They are also introduced to Kannada softwares eg. Nudi & Baraha. So far 18,000 village children have become computer literates. 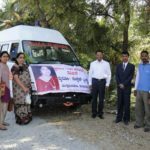 About 450 computers, most of them were used ones received as Donation from individuals and software companies, have been installed in 59 village Schools. 106 computers are currently functioning. The Trust has been continuously receiving requests for installing computers from Head Masters of Govt. Higher Primary Schools in Kanakapura and Ramanagara taluks. 69 such requests for installing computers are on hand with the Trust and the Trust is looking out for donors. 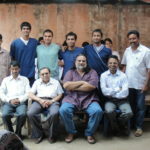 Computer Literacy training by the Trust is free of cost. 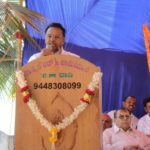 The Aims of the Trust as contained in the Registered Deed of the Trust and the names of the Trustees, a brief about VIKAS and the names of villages where computers have been installed are presented under different heads in this website.